After numerous unsuccessful attempts to develop a Fantasia sequel, the Walt Disney Company revived the idea shortly after Michael Eisner became chief executive officer in 1984. The commercial success of the 1991 home video release of Fantasia convinced Eisner that there was enough public interest and funds for a sequel and he assigned Disney as executive producer. The music for six of the film's eight segments is performed by the Chicago Symphony Orchestra conducted by James Levine. The film includes The Sorcerer's Apprentice from the 1940 original. Each new segment was produced by combining traditional animation with computer-generated imagery. Fantasia 2000 premiered on December 17, 1999, at Carnegie Hall in New York City as part of a concert tour that also visited London, Paris, Tokyo, and Pasadena, California. The film was released in 75 IMAX theaters worldwide from January 1 to April 30, 2000, marking the first animated feature-length film to be released in the format. Its general release in traditional theaters followed on June 16, 2000. Some critics praised the film while others singled out its uneven quality. Budgeted at about $80–$85 million, the film has earned $90.8 million in gross revenue worldwide. Symphony No. 5 (first movement) by Ludwig van Beethoven. Abstract patterns and shapes that resemble butterflies in various colorful shades, tints and hues explore a world of light and darkness whilst being pursued by a swarm of black bats. The world is ultimately conquered by light. Pines of Rome by Ottorino Respighi. A family of humpback whales are able to fly. The calf is separated from his parents and he becomes trapped in an iceberg. Eventually he finds his way out with his mother's help. The family join a larger pod of whales who fly and frolic through the clouds to emerge into outer space. Introduced by Steve Martin and Itzhak Perlman. Rhapsody in Blue by George Gershwin. Set in New York City in the 1930s, and designed in the style of Al Hirschfeld's known caricatures of the time, the story follows four individuals, Duke, Joe, Rachel, and John, who wish for a better life. The segment ends with all four getting their wish, though their stories interact with each other's without any of them knowing. Introduced by Quincy Jones with pianist Ralph Grierson. The Carnival of the Animals (Le Carnival des Animaux), Finale by Camille Saint-Saëns. "What would happen if you gave a yo-yo to a flock of flamingoes?" A flock of flamingoes tries to force a slapstick member, who enjoys playing with a yo-yo, to engage in the flock's "dull" routines. Introduced by James Earl Jones with animator Eric Goldberg. The Sorcerer's Apprentice by Paul Dukas. Based on the poem "Der Zauberlehrling" by Goethe, the segment is the only one featured in Fantasia and Fantasia 2000. It tells the story of Mickey Mouse, an apprentice of sorcerer Yen Sid who attempts some of his master's magic tricks before knowing how to control them. Introduced by Penn & Teller. Pomp and Circumstance – Marches 1, 2, 3 and 4 by Edward Elgar. Based on the story of Noah's Ark from the Book of Genesis, Donald Duck is Noah's assistant and Daisy Duck is Donald's wife. Donald is given the task of gathering the animals to the Ark and misses, loses, and reunites with Daisy in the process. Introduced by James Levine featuring Mickey Mouse and Donald Duck. Production began under the working title of Fantasia Continued with a release in 1997. 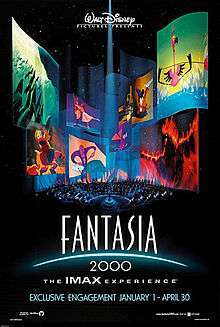 The title changed to Fantasia 1999 followed by Fantasia 2000 to coincide with its theatrical release in 2000. Disney formed its initial running order with half of the Fantasia program and only "three or four new numbers" with the aim of releasing a "semi-new movie". Realizing the idea would not work, he kept three Fantasia segments—The Sorcerer's Apprentice, The Nutcracker Suite, and Dance of the Hours—in the program for "quite a while". In the end, Dance of the Hours was dropped and The Nutcracker Suite was replaced by Rhapsody in Blue during the last few months of production following the response from numerous test screenings. Disney kept The Sorcerer's Apprentice in the final program as a homage to Fantasia. The segment underwent digital restoration by Cinesite in Los Angeles. Disney considered using Clair de Lune, a piece originally made for Fantasia that followed two Great white herons flying through the Everglades at night, but thought it was "pretty boring". An idea to have "a nightmare and a dream struggling for a sleeping child's soul" to Rhapsody on a Theme of Paganini by Sergei Rachmaninoff was fully storyboarded, but fell through. Pines of Rome was the first piece Disney suggested for the film, as well as the first to be animated; designs appeared in the studio's dailies as early as October 1993. Butoy served as director with James Fujii handling the story. The opening to the piece gave Disney the idea of "something flying". Butoy sketched the sequence on yellow Post-it notes. The story originally involved the whales flying around from the perspective of a group of penguins, but the idea was scrapped to make the baby whale a central character. The whales were also set to return to Earth but Butoy said it "never felt quite right", leading to the decision to have them break through a cloud ceiling and enter a different world by the supernova. Butoy created a "musical intensity chart" for the animators to follow which "tracked the ups and downs of the music ... as the music brightens so does the color", and vice versa. He explained that because CGI was in its infancy during development, the first third of the segment was hand drawn using pencil to get a feel of how the whales would move. When the drawings were scanned into the CAPS system, Butoy found the whales were either moving too fast or had less weight to them. The drawings were altered to make the whales slow down and "more believable". The eyes of the whales were drawn by hand, as the desired looks and glances were not fully achievable using CGI. Butoy recalled the challenge of having the water appear and move as naturally as possible; the team decided to write computer code from scratch as traditional animation would have been too time consuming and would have produced undesired results. The code handling the pod of whales was written so the whales would move away if they were to collide and not bump into, overlap, or go through each other. The same technique was used for the stampede scene in The Lion King (1994), which was produced at the same time. Rhapsody in Blue is the first Fantasia segment with music from an American composer. It originated in 1992 when director and animator Eric Goldberg approached Hirschfeld about the idea of an animated short set to Gershwin's composition in the style of his illustrations. Hirschfeld agreed to serve as artistic consultant and allowed the animators to use and adapt his previous works for the segment. Goldberg's wife Susan was art director. Duke is named after jazz artist Duke Ellington. The bottom of his toothpaste tube reads "NINA", an Easter egg referencing Hirschfeld's newborn daughter Nina. Rachel was designed after the Goldbergs' daughter and John is based on animation historian and author John Culhane and Hirschfeld's caricature of Alexander Woollcott. Goldberg took Hirschfeld's original illustration of Gershwin and animated it to make him play the piano. Featured in the crowd emerging from the hotel are depictions of Brooks Atkinson and Hirschfeld, along with his wife Dolly Haas. The segment was completed two months ahead of schedule. This being noted, the sequence was so chromatically complex that the rendering process using the CAPS system delayed Tarzan. Piano Concerto No. 2 was directed by Butoy with art director Michael Humphries. It originated in the 1930s when Walt Disney wished to adapt a collection of Hans Christian Andersen fairy tales into an animated film. The artists completed a series of preliminary designs based on the stories, including ones for The Steadfast Tin Soldier from 1938 by Bianca Majolie that were stored in the studio's animation research library and used for a 1991 Disney book that retold the story accompanied with the storyboard sketches. When Disney suggested using the Shostakovich piece, Butoy flipped through the book and found the story's structure fit to the music. When Humphries saw the sketches he proceeded to designed the segment with works by Caravaggio and Rembrandt in mind to give the segment a "timeless" feel, while keeping the colors "as romantic as possible" during the scenes when the soldier and ballerina are first getting acquainted. Live action footage of a real ballerina was used as a guide for the toy ballerina's movements. Butoy found the Jack-in-a-box a difficult character to design and animate with its spring base and how he moved with the box. His appearance went through numerous changes, partly due to the lack of reference material available to the team. The segment marked the first time the Disney studio created a film's main characters entirely from CGI; only backgrounds, secondary, or tertiary characters had been produced using CGI beforehand. Initially Butoy asked Pixar to handle the computer graphics, but CGI artist Steve Goldberg convinced him to let Disney's own team to produce it. The backgrounds were completed by hand. Originally the drain sequence included friendly rats who performed comical gags, but the team found it did not fit the mood of the rest of the segment. The drains became a more scary environment, something that Butoy said was "what the music was telling us to do". Rain animation from Bambi (1942) was scanned into the CAPS system and digitally altered to fit into the segment. The ending was to feature the original ending with the soldier and ballerina melting in the fire, but the music was too upbeat to animate it and was changed. An excerpt of the segment was shown at the 1998 SIGGRAPH conference. The Carnival of the Animals, Finale was directed by Goldberg; his wife Susan was its art director. The idea originated from animator Joe Grant, one of the two story directors on Fantasia who loved the ostriches in Dance of the Hours. When development for Fantasia 2000 began, Grant suggested the idea of having one of the ostriches play with a yo-yo to the last movement of The Carnival of the Animals. The ostriches were later changed to flamingos as Disney wished to avoid reintroducing characters from the original film and thought flamingos would look more colorful on the screen. Goldberg was partly inspired by co-director Mike Gabriel, who would play with a yo-yo as he took a break from working on Pocahontas (1995). The segment was produced with CGI and 6,000 watercolor paintings on heavy bond paper. Eisner suggested Pomp and Circumstance as a piece after he attended a graduation and thought its familiarity would be suitable for a Fantasia segment. His idea involved a selection of Disney Villains and heroes in a wedding procession carrying their future children who would then be presented in a ceremony. The animators' preliminary designs depicted a Greco-Roman setting; one of the staff members described the artwork as "an appalling abuse" of the characters. Eisner agreed to drop the story, but insisted that the music be used. After numerous ideas were scrapped due to the difficulty in writing a clear plot, animator and director Francis Glebas came up with the Noah's Ark idea that he titled Donald's Last Roundup! and pitched it thinking it was "laden with comic possibilities". To close the film, Disney wanted for a piece that was "emotionally equivalent" to the Night on Bald Mountain and Ave Maria segments that closed Fantasia. Disney chose the The Firebird as the piece to use after "half a dozen" others were scrapped, including Symphony No. 9 by Beethoven and the "Hallelujah Chorus" from Messiah by Handel. Disney thought of the idea of the Earth's destruction and renewal after passing Mount St. Helens following its eruption in 1980. French twins Paul and Gaëtan Brizzi from Disney's Paris studio were hired to direct the segment. The Sprite is a Dryad-like creature from Greek mythology. Her form changes six times; she is introduced as a Water Sprite who plants flowers as a Flower Sprite. She becomes a Neutral Sprite where her growth trail stops and an Ash Sprite when the forest has been destroyed. The segment ends with her as a Rain-Wave Sprite, followed by the Grass Sprite. The segment originally ended with the Sprite in the form of a flowing river that rises up into the sky and transforms into a Sun Sprite, but this was abandoned. The antlers on the elk were produced with CGI and placed on top of its body that was drawn traditionally. The segment was produced using Houdini animation software. The music to The Sorcerer's Apprentice was recorded on January 9, 1938 at Culver Studios, California with Leopold Stokowski conducting a group of session musicians. The recording of Rhapsody in Blue used in the film is an edited version of Ferde Grofé's orchestration of the piece performed by the Philharmonia Orchestra with conductor Bruce Broughton. The shortened version was made by cutting 125 bars of piano solo in three different places. A recording of James Levine conducting both pieces with the Philharmonia appears on the film's soundtrack. Disney felt the need to keep interstitials (bridges) as used in Fantasia to give the viewer a chance to "cleanse their emotional palate" from the previous segment while providing some information about the next one. Don Hahn directed the live action scenes which were designed by Pixote Hunt. Hahn came up with the set and backgrounds while eating lunch; he proceeded to sketch a rough idea of what he imagined on a napkin. He "wanted to show images on shapes like big sails of a clipper ship. They fly in on the wind and form a sort of Stonehenge concert hall in the middle of a vast, empty, imaginary plain". Hahn recalled some difficulty in finding someone to host the film, so the studio decided to use a group of artists and musicians from various fields of entertainment. The interstitials were filmed in various locations; the orchestra, Jones, Lansbury, and Bronfman were shot in Los Angeles, Perlman and Middler in New York City, and others in Boston, Massachusetts. Each scene was filmed in front of a green screen to allow shots of the orchestra or the set to be placed behind them. The shots of Levine, the artists, and the orchestra were filmed on October 31, 1998. The piano Grierson plays in his scene with Jones is the same one on which he played Rhapsody in Blue for the soundtrack. 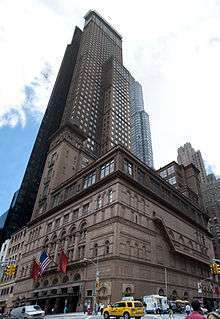 Carnegie Hall, where Fantasia 2000 had its premiere. Fantasia 2000 was officially announced on February 9, 1999 during a Disney presentation at the New Amsterdam Theater in New York City which featured a screening of The Carnival of the Animals. The film premiered at Carnegie Hall in New York City on December 17, 1999 for three nights as part of a five city concert tour. The animation was presented on a screen above the stage while Levine conducted the Philharmonia Orchestra with a video auto-cue to time the music to the images. Performances followed at the Royal Albert Hall in London on December 21; the Théâtre des Champs-Élysées in Paris on December 22; the Orchard Hall in Tokyo on December 27; and the Pasadena Civic Auditorium in Pasadena, California on December 31, where Derrick Inouye conducted as part of a black tie $2,000-per-head New Year's Eve event. Each of the seven performances cost over $1 million. Fantasia 2000 first opened in IMAX theatres for a four-month run from January 1 to April 30, 2000, becoming the first animated feature-length film shown in the format, with a six channel digital surround sound. A temporary 622-seat theatre costing almost $4 million was built in four weeks for its Los Angeles run as Disney was unable to reach an agreement to show the film exclusively at the city's sole IMAX theatre at the California Science Center. After opening at 75 theaters worldwide, the film grossed over $2.2 million in 54 cinemas in North America in its opening weekend, averaging $41,481 per theater. It set new records for the highest gross for any IMAX engagement and surpassed the highest weekly total for any previously released IMAX film. Its three-day worldwide gross surpassed $3.8 million, setting further records at 18 venues worldwide. Fantasia 2000 grossed a worldwide total of $21.1 million in 30 days, and $64.5 million at the end of its IMAX run. Fantasia 2000 was first released on VHS and DVD on November 14, 2000, with both featuring a specially made introduction in which Roy gives a history of key Disney productions and what innovations they brought. While it was available as a single-disc DVD, a three-disc set titled The Fantasia Anthology was released that included a digital copy of the film, a restored print of Fantasia to commemorate its 60th anniversary, and a third disc containing bonus features. On November 30, 2010, the film was issued for DVD and Blu-ray in a single and two-disc set with Fantasia and a four-disc DVD and Blu-ray combo pack. The Blu-ray transfer presents the film in 1080p high-definition video with 7.1 surround sound and DTS-HD Master Audio. The film has been withdrawn from release after its return to the "Disney Vault" moratorium on April 30, 2011. In January 2015, the film became available on Netflix. Fantasia 2000 holds a "Certified Fresh" rating of 82% on Rotten Tomatoes. Its consensus reads: "It provides an entertaining experience for adults and children alike". On Metacritic, the film has a metascore of 59/100. Entertainment Weekly gave a "B-" rating; its reviewer, Bruce Fretts, called Symphony No. 5 "maddeningly abstract", Piano Concerto No. 2 "charmingly traditional", and thought Rhapsody in Blue fit well to the music, but Pomp and Circumstance "inexplicably inspires biblical kitsch". The review ends with a criticism of the inadequate quality of The Sorcerer's Apprentice on the IMAX screen. For Variety magazine, Todd McCarthy pointed out that while the original felt too long and formal, its "enjoyable follow-up is, at 75 minutes, simply too breezy and lightweight". He summarized the film "like a light buffet of tasty morsels rather than a full and satisfying meal". In his December 1999 review for the Chicago Sun-Times, Roger Ebert gave the film a rating of three stars out of four. He described some of the animation, such as Firebird Suite, his favorite segment, as "powerful" though others, like the dance of the abstract triangles in Symphony No. 5, "a little pedestrian". He admired Rhapsody in Blue and its interlocking stories, pointing out its style was reminiscent of the Madeline picture books by Ludwig Bemelmans. He thought Pines of Rome presented itself well in the IMAX format and found the Piano Concerto No. 2 played "wonderfully as a self-contained film". He found The Sorcerer's Apprentice to be "not as visually sharp as the rest of the film". He nonetheless described the film on the whole as "splendid entertainment". Film critic Stephen Holden of The New York Times wrote that the film "often has the feel of a giant corporate promotion whose stars are there simply to hawk the company's wares" while noting the film "is not especially innovative in its look or subject matter." Firebird Suite was his favorite segment which left "a lasting impression of the beauty, terror, and unpredictability of the natural world". He found The Sorcerer's Apprentice fit well with the rest of the film and the battle in Symphony No. 5 too abbreviated to amount to much. He found the segment with the whales failed in that the images "quickly become redundant". He found Rhapsody in Blue to be the second-best in the film with its witty, hyper kinetic evocation of the melting pot with sharply defined characters. He found the segment with the flamingos cute and the one with the tin soldier to be romantic. 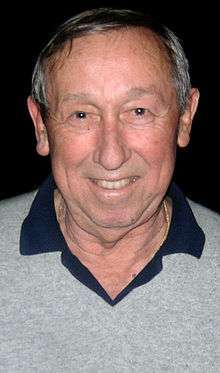 James Berardinelli found the film to be of uneven quality. He felt Symphony No. 5 was "dull and uninspired", the yo-yoing flamingos "wasteful", and the New York City-based story of Rhapsody in Blue interesting but out of place in this particular movie. He found the story of the tin soldier to successfully mix its music with "top-notch animation" and "an emotionally rewarding story". He felt the Firebird section was "visually ingenious", and Pomp and Circumstance the most light-hearted episode and the one with the most appeal to children, in an otherwise adult-oriented film. To him The Sorcerer's Apprentice was an enduring classic. 1 2 3 "Fantasia 2000 (35mm & IMAX)". Box Office Mojo. Retrieved May 5, 2011. 1 2 3 Corliss, Richard (December 5, 1999). "Disney's Fantastic Voyage". Time. Retrieved August 9, 2015. 1 2 3 4 Holden 2001, pp. 212–213. 1 2 "Fantasia/2000". RogerEbert.com. December 31, 1999. Retrieved May 5, 2011. ↑ Solomon, Charles (August 26, 1990). "Fantastic 'Fantasia'". Los Angeles Times. Retrieved May 5, 2011. ↑ Warga, Wayne (October 26, 1980). "Disney Films: Chasing the Changing Times". Los Angeles Times. 1 2 Taylor, Cathy (October 22, 1994). "Disney Waves Magic Wand And Sequel Comes To Life After 54 Years". Orlando Sentinel. Archived from the original on 11 September 2016. Retrieved July 31, 2015. ↑ Brennan, Judy (August 19, 1997). "Coming, Sooner or Later". Los Angeles Times. Archived from the original on 10 September 2016. Retrieved May 6, 2011. ↑ Culhane 1999, p. 10. 1 2 3 Stewart 2006, p. 106. ↑ Stewart 2006, p. 288. ↑ "Fantasia (Re-issue) (1990)". Box Office Mojo. Retrieved July 31, 2015. ↑ Christiansen, Richard (October 31, 1991). "'Fantasia' A Hit With Video Audience". Chicago Tribune. Archived from the original on 10 September 2016. Retrieved January 21, 2011. 1 2 Culhane 1999, p. 11. 1 2 Culhane 1999, p. 12. ↑ Culhane 1999, p. 8. 1 2 Culhane 1999, p. 176. 1 2 Ebert, Roger (December 29, 1999). "Walt's nephew leads new Disney 'Fantasia'". RogerEbert.com. Retrieved July 31, 2015. 1 2 Kaufman, J.B. (October 1999). "A New Life for Fantasia". Animation World Magazine, Issue 4.7. Retrieved July 31, 2015. 1 2 3 4 5 6 7 8 9 Robertson, Barbara (January 2000). "Fantasia 2000". Computer Graphics World. 23. Archived from the original on 11 September 2016. Retrieved July 31, 2015. ↑ Culhane 1999, pp. 22–23. ↑ Culhane 1999, p. 24. 1 2 Culhane 1999, p. 29. ↑ Culhane 1999, p. 35. ↑ Culhane 1999, p. 13. ↑ Culhane 1999, p. 39. ↑ Culhane 1999, p. 45. ↑ Culhane 1999, p. 58. 1 2 3 4 Solomon, Charles (December 1999). "Rhapsody in Blue: Fantasia 2000's Jewel in the Crown". Animation World Magazine. Retrieved March 25, 2013. ↑ Milligan, Mercedes (August 4, 2015). 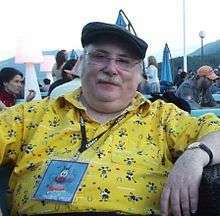 "Disney Animation Historian John Culhane Dies". Animation Magazine. Archived from the original on 11 September 2016. Retrieved March 29, 2016. 1 2 Noxon, Christopher (December 30, 1999). "The 'Sorcerer's' Apprentices". Los Angeles Times. Retrieved May 6, 2011. ↑ Stewart 2006, p. 289. 1 2 Berardinelli 2005, pp. 55–56. ↑ Banagale 2014, p. 153. 1 2 "Fantasia 2000". Soundtrack.net. Retrieved July 25, 2015. 1 2 3 4 Culhane 1999, p. 177. ↑ Culhane 1999, p. 15. ↑ Culhane 1999, p. 14. ↑ Culhane 1999, p. 17. ↑ Culhane 1999, p. 16. ↑ Frankel, Daniel (February 10, 1999). "Disney's "Fantasia 2000" going Imax". E! Online. Retrieved May 16, 2011. ↑ Roman, Monica (February 9, 1999). "Disney, Imax set 'Fantasia 2000'". Variety. Retrieved August 9, 2015. 1 2 Matthews, Jack (December 17, 1999). "'Fantasia 2000' grows to IMAX height". New York Daily News. Retrieved February 12, 2011. ↑ Liberman, Paul (December 20, 1999). "Disney Unwraps 'Fantasia' Sequel, After a Long Spell". Los Angeles Times. Retrieved May 6, 2011. ↑ Cowan, Rob (December 23, 1999). "Return of the Sorcerer's Apprentice". The Independent. London. Retrieved May 7, 2011. ↑ Disney Magazine, Fall 1999 Collector's Issue. ↑ Dutka, Elaine (January 3, 2000). "'Fantasia/2000' New Year's Eve Gala Draws an Artistic Crowd". Los Angeles Times. Retrieved May 7, 2011. 1 2 3 Stewart 2006, p. 346–347. ↑ Zager, Michael (2012). Music Production: For Producers, Composers, Arrangers, and Students. ↑ Noxon, Christopher (December 7, 1999). "L.A. Imax Says No, So Disney Builds Its Own Huge Screen". Los Angeles Times. ↑ "News Beat - 'Fantasia' B.O. fantastic". New York Daily News. January 5, 2000. Retrieved May 5, 2011. ↑ "'Fantasia/2000' smashes house records at IMAX theaters worldwide in its opening weekend". Business Wire. January 3, 2000. Retrieved May 16, 2011. ↑ "'Fantasia/2000' orchestrates nearly $4 million in just three days at 75 IMAX theaters worldwide". Business Wire. January 4, 2000. Retrieved May 16, 2011. ↑ "Fantasia/2000 soars past the $21 million mark in just one month of release at 75 venues worldwide". Business Wire. January 30, 2000. Retrieved May 16, 2011. ↑ Watson, Pernell (May 26, 2000). "Fantasia/2000' coming to regular theatres soon". Daily Press. Retrieved May 7, 2011. ↑ Natale, Richard (June 19, 2000). "Audiences Dig 'Shaft,' but June Business Isn't Right On". Los Angeles Times. Retrieved May 7, 2011. ↑ Bramburger, Bradley (January 8, 2000). "Classical: Keeping Score". Billboard: 33. Retrieved July 25, 2015. ↑ "Top Classical Albums". Billboard: 37. July 8, 2000. Retrieved July 25, 2015. ↑ "Child's Play: 'Thomas' Film Soundtrack on Track". Billboard: 71. July 15, 2000. Retrieved July 25, 2015. ↑ Perigard, Mark (November 12, 2000). "ON DVD; Disc additions enhance 'Fantasia' celebration". Boston Herald. Retrieved February 6, 2011. ↑ "Fantasia & Fantasia 2000: 2-Movie Collection Special Edition". Ultimate Disney/DVDizzy. September 1, 2010. Retrieved March 8, 2011. ↑ "Fantasia/Fantasia 2000 2 Movie Collection Special Edition". Disney DVD. Retrieved March 18, 2011. ↑ "Fantasia 2000 - Rotten Tomatoes". Retrieved January 20, 2013. ↑ Fretts, Bruce (January 14, 2000). "Fantasia 2000". Entertainment Weekly. Retrieved August 9, 2015. ↑ McCarthy, Bruce (December 22, 1999). "Review: 'Fantasia 2000'". Variety. Retrieved August 9, 2015. ↑ Parkinson, David. "Fantasia 2000". Empire. Retrieved August 9, 2015. ↑ Sibley, Brian (June 2000). "Fantasia 2000". BFI: Sight & Sound. Retrieved August 9, 2015. ↑ "Legacy: 28th Annual Annie Award Nominees and Winners (2000)". International Animated Film Society. Retrieved May 7, 2012. ↑ "And the nominees are...". Ocala Star-Banner. p. 5D. Retrieved May 7, 2012.